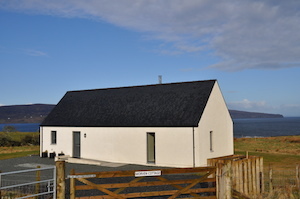 Welcome to morven cottage on the Isle of Skye, a recently built, self-catering accommodation for two. 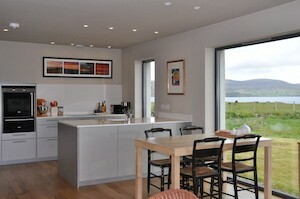 The cottage features spectacular views from Claigan to the Outer Hebrides and beyond. Step through a traditional entry into the comfortable, open-plan interior flooded with light from expansive, water-facing glazing. Glimpse the Western Isles in the distance, fleeting rainbows arching from water’s edge to water’s edge, fiery sunsets, and an outstanding exposure for the Aurora Borealis. You might even catch a view of otters at play in the Loch. morven cottage is set in an ideal location to explore magical Skye – an island of dramatic scenery, compelling history, and a plethora of holiday activities. 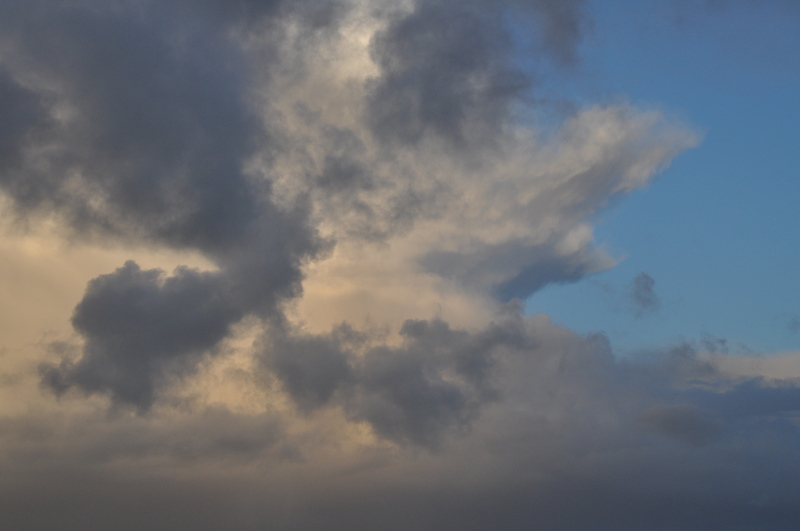 Walk to the nearby Coral Beaches or visit Dunvegan Castle and Gardens just down the road. Convenient to the community of Dunvegan and equidistant between the Waternish and principal Duirinish peninsulas, Morven Cottage is situated for easy day trips to shop, gallery browse, hike, bike, hill scramble, or enjoy Skye’s cafes, fine dining, and local brews. Or for those relaxing days beside the wood-burning stove, Morven Cottage is comfortably furnished and thoughtfully equipped for a holiday of easy pleasure. We hope you’ll feel at home immediately.